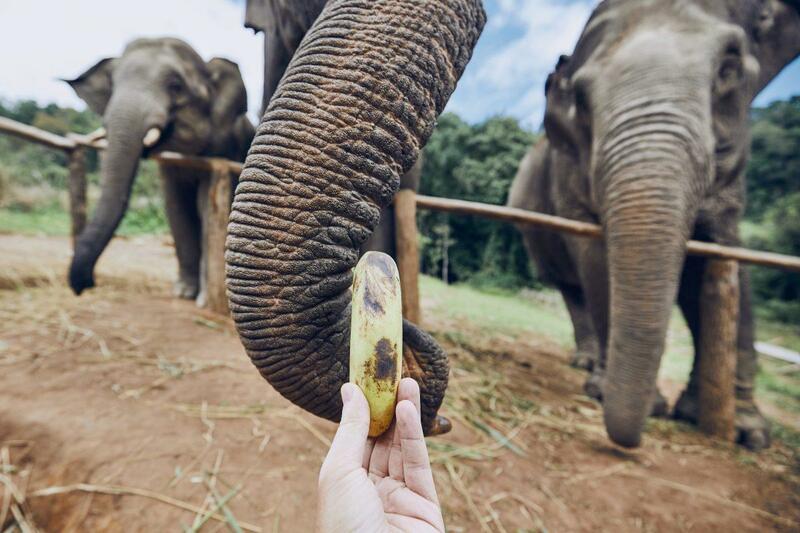 Safari World Bangkok is Thailand’s most popular animal park. 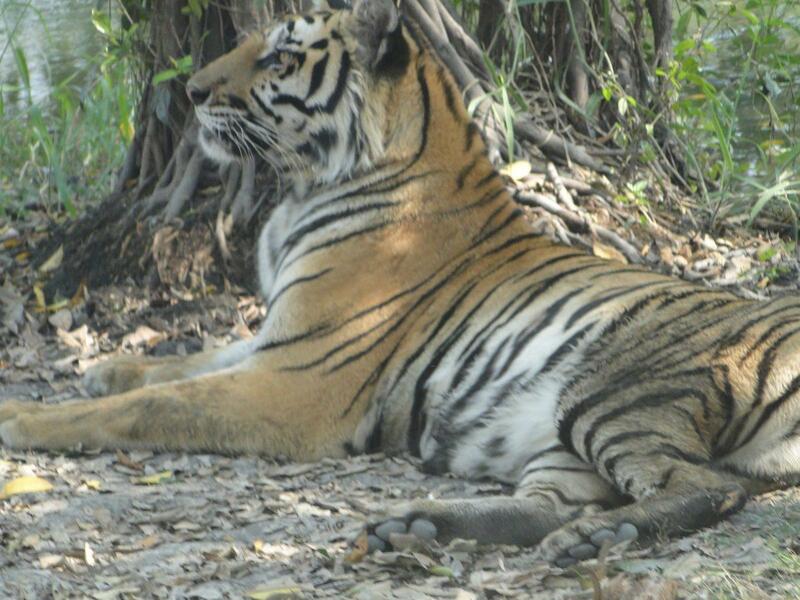 It’s an open zoo featuring two parks, Safari Park & Marine Park spread over 8KMs. 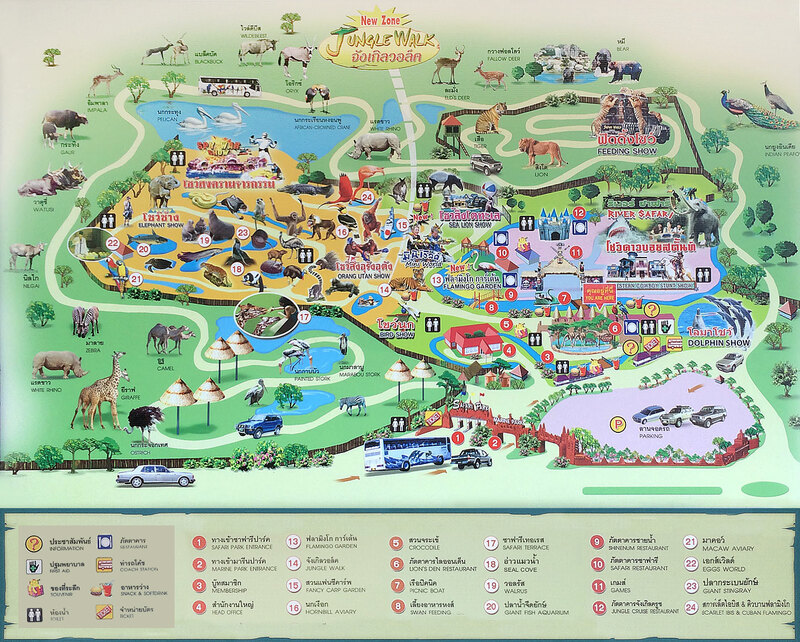 Safari World is 40KM outside Bangkok & it takes 1.5hrs to get there from central Bangkok. Safari World is great entertainment for kids & families. The Safari Park features a 45-minute safari drive through a replica African wilderness setting. You can take your own car or Safari Worlds coach tour. During the drive you will get close up views of Lions, Tigers, Giraffes, Zebras, Camels, Bears, Rhinos & more. There is a Tiger feeding show each day at 10.00. English-speaking guides are available. Don’t feed the animals, sound your horn or get out of the vehicle. Do not open car windows near lions or tigers. Safari Coach Tickets are 45 Baht per adult/child. Marine Park is more of a traditional zoo where you can view animals, birds, reptiles & mammals in enclosed spaces. The Birds on show include Parrots, Eagles, Owls & more. Snakes, Crocodiles & Lizards are reptilian highlights. The highlights are the shows of which there are seven. The highlight is the exciting Dolphin show. The intelligent mammals do a variety of tricks in a special large amphitheater. There is also a Sea Lion show. 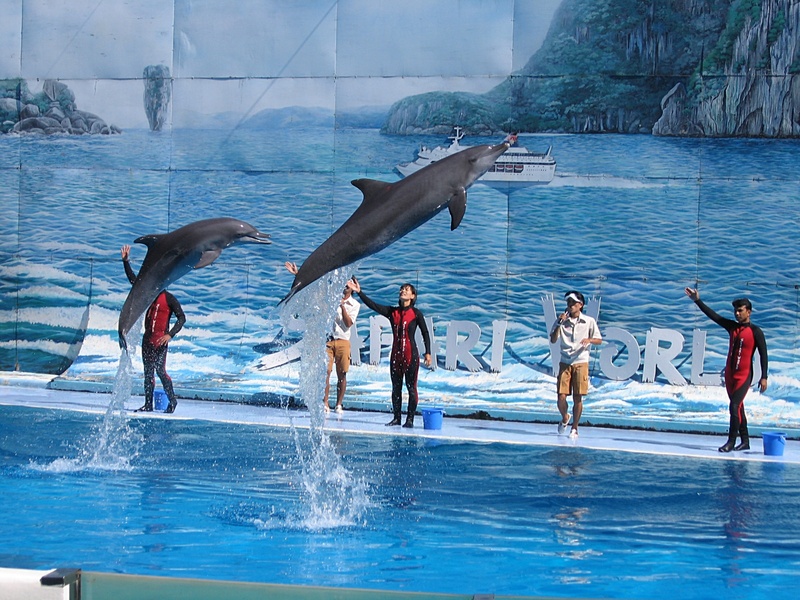 Other animal shows in the Marine Park include an Elephant & a Bird show. There are also action shows including a Cowboy Stunt show, a James Bond style Spy show & a Water Ski show. Another show is a controversial Orangutan Muay Thai Boxing show where two of the animals take part in a mock fight. This is not to everyone’s taste though the fighting is playful and not serious. Check showtimes when you arrive as they may change. If you want to catch-all of the shows you will need to move quickly between them. The River Safari is a log flume ride through a replica jungle setting. There are moving animatronic replica animals such as gorillas & crocodiles along the way. An extra ticket for the ride is 400 baht per person. One of the highlights of Safari World is the giraffe feeding platform. There are over 100 giraffes in the park & the giraffe height platform allows you to get up ultra close. In Marine Park, you can hold & feed baby animals & take photos with them. There is an extra charge for this. Safari World has 2 buffet & 2 fast food restaurants. The buffets have Thai & International food. Indian & Vegetarian options are available but need booking in advance. Some ticket options include the buffet. There are also plenty of snack stalls around the park. Child strollers & wheelchairs are available to rent. Safari World can be hot, remember to take sunscreen. You cannot take water inside the park. Water is on sale inside the park at 20 baht per small bottle. If you want to see everything in the parks it will take you a whole day. Arrive at the shows early to get the best seats. You may get wet during some shows if you sit too near the front. The best option for visiting the park is to take an organized tour. This will include transport to & from Bangkok. Opening Hours: 09.00-17.00 daily. The Marine Park closes at 18.00. Unless you have your own car, an organized tour from Bangkok is the way to go. A taxi from Central Bangkok will cost over 1000 baht return.